Journey through 350 million years of natural history in the New Brunswick Museum. Explore the amazing Bay of Fundy ecosystem in the Irving Nature Park. Discover the UNESCO Stoenhammer Geosites. Book a "Day Adventure" to nearby communities and natural wonders, or go birdwatching, whalewatching,canoeing, or kayaking. Colorful streets beckon you to take an invigorating walking tour of the oldest incorporated city in Canada. Shop at the historic Saint John City Market. Absorb the proud Loyalist heritage of the City. 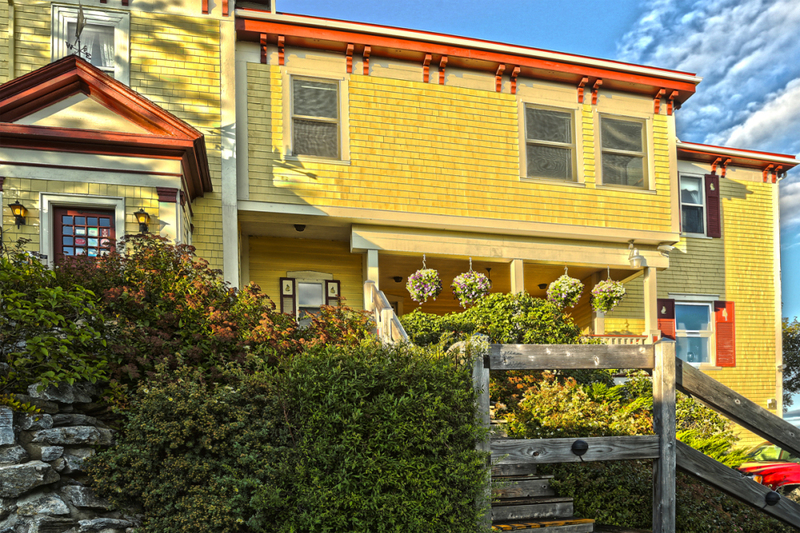 Saint John has exquisite dining, unbeatable shopping, fine accommodations, art galleries and so much more. Saint John is a city steeped in history. Also referred to as "the Loyalist City" as well as “Canada‘s Most Irish City". It is Canada's oldest incorporated city (since 1785). Saint John is home to this country's oldest museum and farmers market. This city has been welcoming people from Eastern Europe, England and Ireland for centuries, with each group of immigrants leaving their unique imprint on Saint John culture, architecture and language. And Saint John is recently becoming known as creative, eclectic artistic community, as is reflected in the growing number of art galleries and unique shops in the city's urban core. Discover the rich quality and diversity of cultural product available. Whether your taste if for the traditional or the contemporary, if you're enticed by grass roots, local art of by major, internationally acclaimed pieces, a wealth of district of offerings can easily be explored during a leisurely stroll of uptown Saint John. South - The Imperial Theatre was designed by Albert E. Westover, who was a leading architect from Philadelphia. It opened in 1913. Try to capture an event there or at least drop in for a visit to view this spectacular theatre. The doors are usually open during the day. East - Saint John Firefighters' Museum was built in 1840, survived the Great Fire of 1877, and was designated as a National Historic Site in 1995. The Museum houses a collection of firefighting tools from the nineteenth and twentieth century and a large collection of photographs pertaining to firefighting in Saint John. The second floor features a room dedicated to the Great Fire of 1877 including photographs of before and after the fire as well as the rebuilding period. Beside this is the Courthouse opened in 1829 and also survived the Great Fire. The most impressive feature of the building is a free standing stone spiral staircase. Each of the 49 steps in the staircase was cut from a solid block of stone and fitted without a central supporting pillar. Open Jun. - Sep. Mon. - Sat. 10:00am to 4:00pm. North East corner - The Old Burial Ground also known as the Loyalist Burial Grounds. The earliest gravestone is dated July 13, 1784. Having reached a state of disrepair in the late 1980s, it was restored by the Irving family in 1995 in memory of the late KC Irving (1899-1992), founder of the Irving Empire of companies. Irving world headquarters stands in the North West corner of this block. North West Corner - the original Saint John City Market was located at the foot of King Street at Market Square. Today known as loyalist Plaza and the Boardwalk. City market on Charlotte Street opened in 1876 and barely survived the Great Fire of 1878. Its roof, built like an inverted hull, reflects the city's shipbuilding past. It's a "must see" for all visitors. Head west of the square and down King Street to the bottom to Prince William Street and the Harbour. This historic area called Trinity Royal is distinguished by its area concentration of homogeneous, primarily late 19th century architecture. The area contains major public buildings, banks, hotels, insurance, shipping and legal offices, and the seamen's institute and mission. More than half of these structures were erected after the Great Fire of 1877. The Prince William Streetscape is marked as a national historic site. In this area is Market Square home to shops, restaurants and the New Brunswick Museum , Canada's oldest museum collection that was started in 1842. Plan to spend some time. You can walk under a full-size right whale, take a geological trail through time, explore our lumbering and shipbuilding history, view exquisite furnishings and art and there is even a Saint john made Bricklin automobile. Barbour's General Store Museum is an authentic nineteenth century country general store restored by the G. E. Barbour Company in 1967 to mark the centennial year of both Canada and the G. E. Barbour Company. This little store is a real mover, originally located at Sheffield, New Brunswick, 60 miles up the St. John River. It was floated down the river by barge in two pieces and set up on King Street East in 1967, then moved to Loyalist Plaza in the 80's and recently from across the street to its current location. If you head south along Prince William to the end you will arrive at St. Patrick's Square, and the Trinity Lamps, or "Three Sisters". The earliest light was a simple oil lamp erected in 1842. It was placed in the line with the steeple of Trinity Church so that Harbour pilots and captains could navigate their way safely into the Harbour at night. A Celtic Cross is also located here. The cross is a replica of one erected on Partridge Island to commemorate the graves of more than 2000 Irish immigrants who perished of typhus fever or famine an route to or at the quarantine station set up here. Loyalist House was constructed in 1811 by David Daniel Merrit, a Loyalist from Rye, New York and completed in 1817. It is the oldest residence in the city, surviving the Great Fire by servants surrounding it with wet towels. The Merri family continuously occupied it for nearly 150 years but it was donated to the New Brunswick Historical Society in 1959. Fort Howe offers a magnificent panoramic view of the harbour and city. The fort was built as a British army fortification in 1777 to protect the vital St. John River area from American privateers and native unrest. Fort LaTour was even earlier than that, during the 1630s, Charles de LaTour, self-appointed Governor of Acadia, settled at the mouth of the St. John River. Charles de LaTour's wife, Madame Francoise Marie LaTour, is regarded as Canada's first heroine. She bravely defended the fort from an attack for four days while LaTour was away. Carleton Martello Tower is a national historic site and dates back from the War of 1812. It played a pivotal role in the conflicts up until the Second World War. The site features a restored powder magazine, a barracks room, and exhibits in the tower and in the Visitor Centre. Visitors will also marvel at the spectacular view of the city of Saint John and its harbour. Saint John Jewish Historical Museum was created in the 1980s in order to preserve the once thriving Jewish heritage of Saint John. It operates on a seasonal basis from. It is the only Jewish museum in Atlantic Canada. Cherry Brook Zoo and Vanished Kingdom Park It's monkey business as usual at the Zoo, the first accredited zoo in Atlantic Canada. Over 100 exotic and endangered animals, including tigers and monkeys, with groomed trails, picnic and canteen facilities. Don't forget the Tiger Claws 180-hole mini-golf course. Iving Nature Park A scenic winding coastal road and nature walking trail on the Ban of Fundy. See Harbour seals, porpoises and hundreds of species of birds. Picnic areas are equipped with propane barbeques for public use. Fundy Trail Parkway is the ultimate Bay of Fundy eco-experience, the Trail takes you straight to the wonders of the Bay of Fund, accessibly and conveniently. A seasonal multi-use coastal experience and spectacular from every view. Don't miss it! Attractions Canada "Natural Outdoor Site" winner, located in St. Martins about 40 minutes drive. Fundy National Park Experience the world’s highest tides – not to mention pristine forests, deluxe campgrounds and a taste of Atlantic Canada culture – at Fundy National Park. Paddle in a kayak as the waters rise up to 12 metres or more. Walk the otherworldly sea floor at low tide. Or venture inland where trails lead to waterfalls deep in Acadian forests. With unique camping options – including yurts – and even regular music performances, Fundy National Park is a Maritime treasure.